For any real estate need, you have the power to make your own choice as to what company you choose to do business with. We are understanding to the fact that this choice may seem overwhelming. What makes Tom Crimmins Realty stand out from other real estate agencies is how we treat our customers. Regardless if you are renting, a first time home buyer, or a luxury home buyer, the attitude of our agents is always consistent. Time after time our customers are left satisfied because we have their best interest in mind. Take a moment to hear what some of our past clients have to say about us on our testimonials page. We are your local real estate agency and making your real estate experience stress free and enjoyable is of utmost importance to us. If you are interested in enlisting the services of a real estate professional today then please feel free to contact us. Within the midst of the madness that comes along with finding a rental property or renting one, we commit ourselves to moving forward in a direction fundamentally different from others. We continually keep up to date with the newest technology available to offer our clientele and attend numerous ongoing professional development seminars to ensure that our clients receive the best possible service from us. First and foremost we are your best audience! We are great listeners which is a key factor to achieving our goals in assisting you in whatever real estate transaction is at hand. Understanding your real estate visions and concerns enables us to provide you with top service and accomplish what needs to be done in a timely fashion. After all, there are clearly major decisions that need to be made and we want to be a part of them by building trust and creating a stress-free environment. With support from us, your real estate needs are easily accomplished. 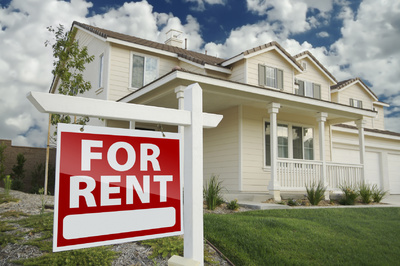 Do you think renting your apartment or house is important? You bet it is! But more important is who we put in to rent. We take pride in working hard to match up renters in an environment that would be suitable for all parties involved. Everyone has different vibes and it is important that there be a healthy balance between personalities. After all we want our renters and landlords all to be happy and live in harmony. We follow a protocol of interviews, debriefing, and documentation from the prospective renter that we check and file for the landlord before any introductions or money exchange. Our landlords understand that although time is of the essence, more importantly is finding a good reliable renter. This is not just about a high credit score. This is about a long lasting relationship between both parties that lasts well into the future. Let us do the work for you and you won't be disappointed. Our highly trained and experienced Real Estate Professionals not only work on Staten Island but also live here. We are the Staten Island rental experts and we are ready to work for you. Fill out the short contact form with "Rental" as your subject line and a message explaining how we can exceed your expectations with your rental. Please be as detailed as possible, and we will be sure to get back to you to assist with your rental real estate needs.